A suit with short sleeves and shorts? Yes! 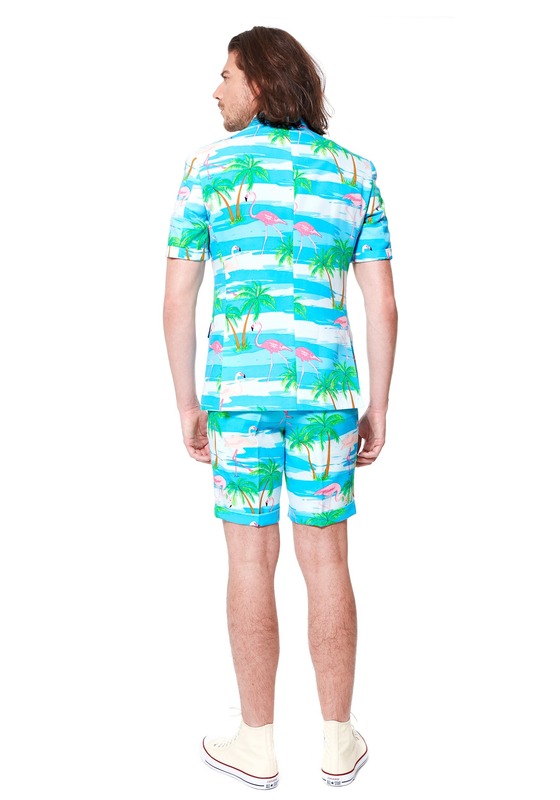 This Men's Flamingo Summer Suit is a fresh, cool choice for beating the heat while dressing to impress. This is the kind of suit that makes ladies heads turn while other dudes look on in jealousy. This is the kind of suit that say, "I'm one chill dude who also has an impeccable sense of style." 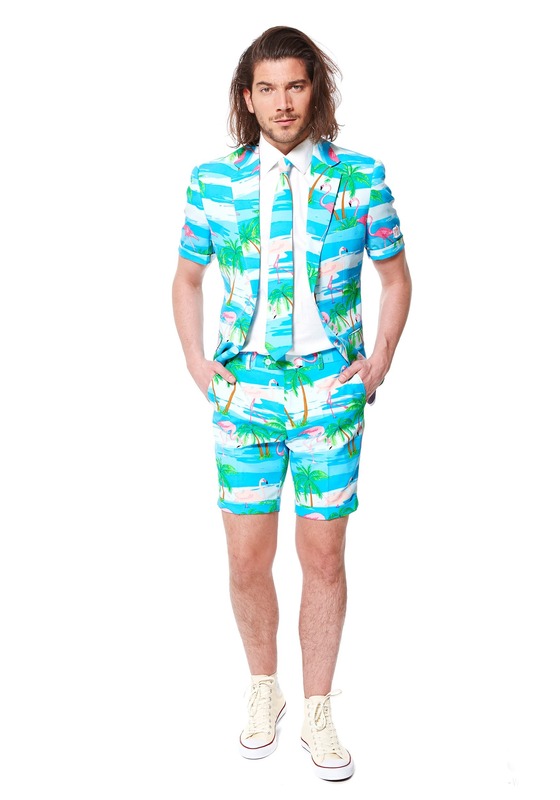 This is the kind of suit that shows that you're not only a snazzy dresser, but you're also an animal lover who likes to chill by the beach when you're not off being the coolest dude at any random shindig. Wear this suit to make a statement or just wear this suit to reflect your personal style, either way you'll look classy while simultaneously giving off the carefree surfer dude vibe. This flamingo summer suit is a fun new summer suit from Opposuits, with satin lining and a fun beach themed fabric print. There are 2 buttons at the center of the suit jacket and 2 interior pockets. The matching cuff shorts have a zipper fly with a button and also have a pocket on either side of the hip. This suit comes with a matching necktie that easily clips on. We recommend wearing this summer suit during all types of summer time activities- barbecues, patio parties, and walks on the boardwalk! Wherever you wear it, you'll be the coolest guy there!